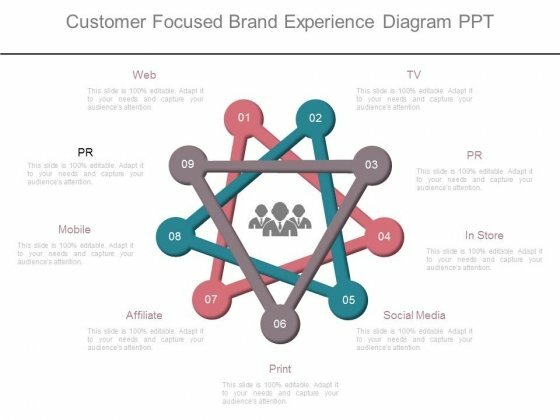 This is a customer focused brand experience diagram ppt. This is a nine stage process. The stages in this process are web, pr, mobile, affiliate, print, social media, in store, pr, tv. Stay calm and collected with our Customer Focused Brand Experience Diagram Ppt. The audience will admire your cool.